This year marks the 25th anniversary of the Cultural Heritage Center. It was on May 1, 1987, that Gov. George S. Mickelson and other dignitaries broke ground for the building. It was a great day in the history and for the history of South Dakota. 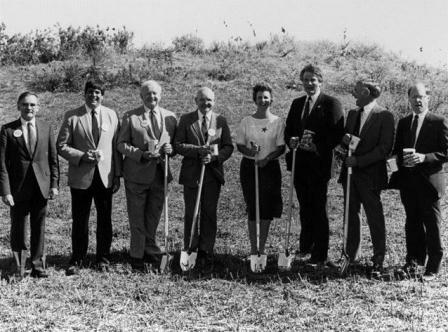 This photo from the State Archives shows that those participating in the ground breaking ceremony were, left to right, Glen Hohenstein, Gerry Schneider, Tom Killian, James Hansen, First Lady Linda Mickelson, Gov. George S. Mickelson, Homer Harding and Chuck Schroyer.